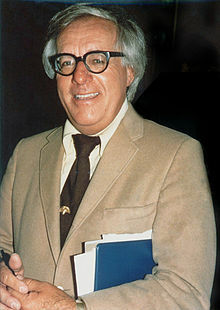 Ray Bradbury passed last night and the world has a little less magic, a little less wonder, a little less adventure. The stars, once within our grasp but receding ever since Apollo fell from the Moon back to dusty, dreary Earth, are today even a little farther away than they were yesterday. I came to appreciate Ray Bradbury's genius later than many readers. As a teenager, his works never captured my attention--not compared to the X-Men and Star Wars and Dungeons and Dragons. But I returned to Ray's work later, in my early thirties, and when I cracked open The Illustrated Man, I caught his magic. From there, I was seared (and yet chilled) by the firemen of Fahrenheit 451. I felt my heart soar as a family peered down into a canal and realized, "Yes, we are the Martians." I felt the wonder and innocence of childhood as Mr. Dark's carnival raced into town under the cover of deep, darkest night while all the good and kindly folks were deep in slumber. We met late in life, Ray's work and I, but I soon came to realize what a treasure he was. As I learned more of Ray, I came to profoundly respect him. Born of very humble means, he was shy, not athletic, but boy, did he love stories. He was unable to go to college. Instead, he educated himself and formed his writing style by regular visits to the library. And while I'm sure some considered him a little smug and overconfident, especially for a lowly writer of sci-fi and horror pulp stories, I choose to see him as determined: Determined to write the stories he wanted to write. Determined to make something of himself. Determined not to let anyone else define him. Ray wrote what he wanted and if you didn't like it, that truly was your problem, not his. As an author, I take great inspiration from his integrity and discipline. Ray had the most amazing writing style, creating true poetry and mood on every page, in every paragraph. A master of mood and tone, he'd smile his storyteller's smile and before you knew it, you were swept away on a wondrous journey and immersed in his wonderful imaginary worlds. His early horror stories, to me at least, are among the most unsettling and creepy tales I have ever read, all without being graphic and gruesome. His space stories reminded us to look up at the stars and dream about what might be. He often warned us of what we might fall to if we became careless and let our fears devour our hopes, of what might happen if we allowed the bullies and despots among us to have their way. At the same time, he showed us grand hopes and possibilities. He shouted at us that we could live forever and spread across the stars if only we dared to dream and dared to act. There had been something nagging at me on and off for the past few months, urging me to just sit down and write a letter to Ray just to thank him for his wonderful gifts. It may sound silly or childish, but I wanted to let him know how much I loved his work. I wanted to thank him for telling stories that will stay with me for the rest of my life. I just wanted to thank him for sharing his dreams and visions, for making me laugh and smile countless times...for making me tear up ("The Laurel and Hardy Love Affair")...for making me shudder with delighted spookiness (Something Wicked This Way Comes). I just read "A Sound of Thunder" for the first time two days ago and, no offense to Mr. Spielberg and the team at ILM for their work on Jurassic Park, but only Ray Bradbury was able to capture how terrifying it would be to encounter a T. Rex in person. Most of all, I wanted to thank Ray for constantly reminding me to look up at the stars and wonder. That little voice, that urging to just take a few minutes, would whisper in my ear every so often. "Just write him a letter to say, 'Thank you, Ray.' Sure, he's probably got a million other letters just like it--but still, take the time to let him know how much his stories meant to you. You're a writer, Bill -- you know how much it would mean to him." And instead, I'd set the notion aside to do something pressing, seemingly urgent, seemingly "more important." I'll never have the chance to write that letter and now I feel such a loss. For those of you who have a special author or creator whose work has meant a lot to you, take a moment to thank them. As a writer, I know how lonely this work can be. Sometimes, writers feel like they are shouting out into the void and we wonder...we hope...that our stories connect with readers. But we seldom know. We write and hurl stories out there and often, never hear from them again. We write because we have to, because that's what we do...most of us feel with every fiber of our being that we are meant to be writers and that it is our calling. But it is still nice to know that others got something out of our work. Certainly, the paychecks, large, small and nonexistent, are nice...but there is no better feeling than knowing that someone has enjoyed your work and that your story has made their life a little better. I missed the chance to thank Ray. Don't miss your chance to thank the authors and creators who have inspired you. Ray was fond of telling a true story of his meeting with Mr. Electrico, a circus magician he saw when he was a young boy. Mr. Electrico called him up on stage and dared Ray to "Live Forever!" It is a touching tale, one that provides hope and dabbles with reincarnation. That moment encouraged him to dream big dreams and soar with John Carter on Barsoom, to fly with Buck Rogers and Flash Gordon, to explore Baum's Yellow Brick Road and walk with dinosaurs, to quest for a dusty Red Planet and show us a future worthy of our greatest aspirations if only we dared to reach for the stars. Ray decided right then to be a writer and over the course of his career, he filled our imaginations with so much hope and wonder and excitement. You will live forever in your stories. I can't wait to hear the new tales you have to tell when it is my time to venture to the Undiscovered Country.